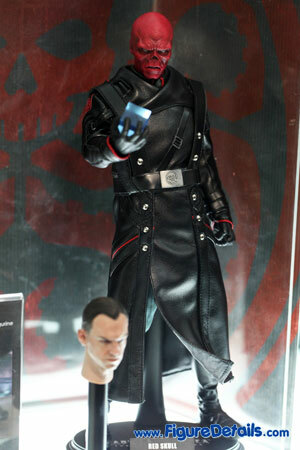 - Fully realized action figure likeness of Hugo Weaving as Red Skull (Johann Schmidt) in Captain America: The First Avenger movie. 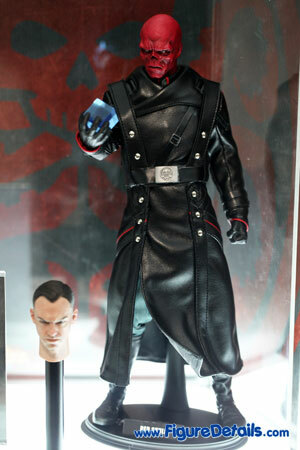 - Movie-accurate costume including a black leather-like trench coat, field- grey shirt, and a pair of field-grey pants. 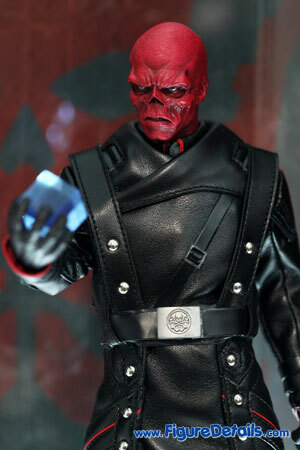 Here I show you the photos of Red Skull Action Figure that is now displaying in the Hot Toys store. 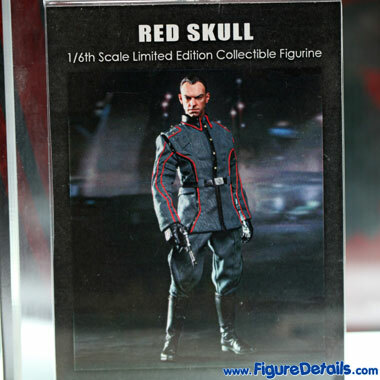 Red Skull is the second Hot Toys action figure from Captain America - The First Avenger movie. 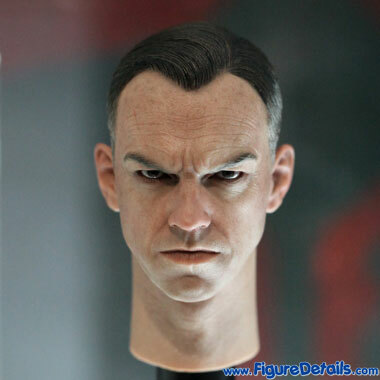 This action figure comes with 2 head sculpt - Red Skull, and Johann Schmidt( Hugo Weaving ). 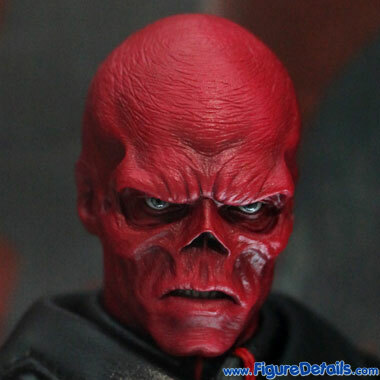 When compare these two, I like the Red Skull one. 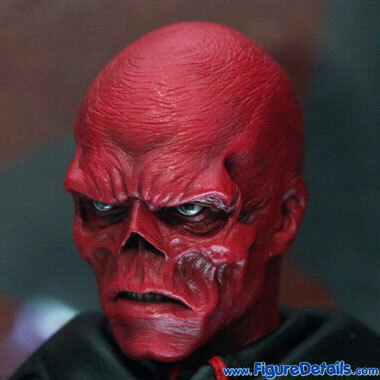 Not much accessary for this Red Skull action figure. 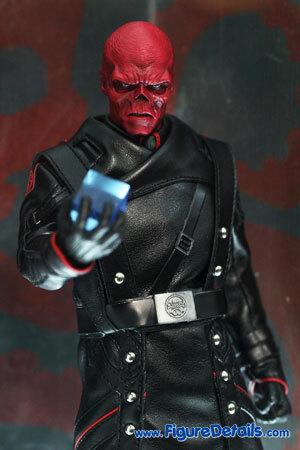 Only comes with a cosmic cube. For the price, it is a bid high. Copyright © 2009 - 2017 FigureDetails. All rights reserved.